Dedicated to keeping trails open to equines. Join today and begin making a difference! Back Country Horsemen of Minnesota (BCH-MN) organization is made up of people who share a love for horses and advocate a combination of service and education to keep public lands open to equine use. 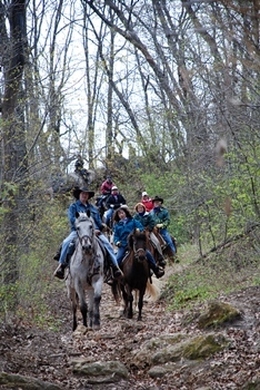 We invite you to become a part of Back Country Horsemen of Minnesota (BCH-MN), to meet other trail riders and participate in trail maintenance projects. You will learn about our impact on trails and be part of a positive force in managing part of our national heritage. Not all of us can work the trails, but your member ship is a valuable resource regardless of your level of participation & expertise. We all are needed to keep the trails available to horses, mules, packing expertise and trail riding. Volunteering has a positive effect when talking with land managers. It shows that as a user group we take responsibility for keeping our public lands in good condition for future generations. Volunteers are what make Back country Horsemen of America (BCHA) so special and unique across America. All BCH-MN members will get the BCHA newsletter. Report all Minnesota trail work volunteer hours to bchminnesota@gmail.com. In 2017, Back Country Horsemen of America volunteers spent 324,154 hours working to maintain trails on public lands. That equates to a value of $12.9 million dollars in trail work donated to local and federal land managing agencies. Since 1995, BCHA members contributed a value equal to $139.86 million in volunteer hours. We invest in active participation by young leaders in the wise and sustainable use of wilderness and back country resources. We coordinate with conservation corps and youth groups, United States Forest Service, National Park Service, and Bureau of Land Management to ensure tomorrow’s leaders have outdoor and wilderness experiences. As youth groups work with us and our partners, they learn about themselves and about stewardship of our most treasured resources. BCHA, its youth partners, and other volunteers leverage funds many times over in delivering projects to clear and maintain trails. Are you a hiker, biker, or horseback rider who gets out and enjoys trails? We do much of the work that goes unseen to clear and preserve the safety and continued enjoyment of your outdoor experience. Yup, much of our work does involve “horsepower” as well as human power. The majority of our pack trips with horses and mules assist trail crews get food, camping gear, and trail maintenance equipment into areas where four-wheeled vehicles cannot go. We help two-footed trail workers get more done by packing in what they need.